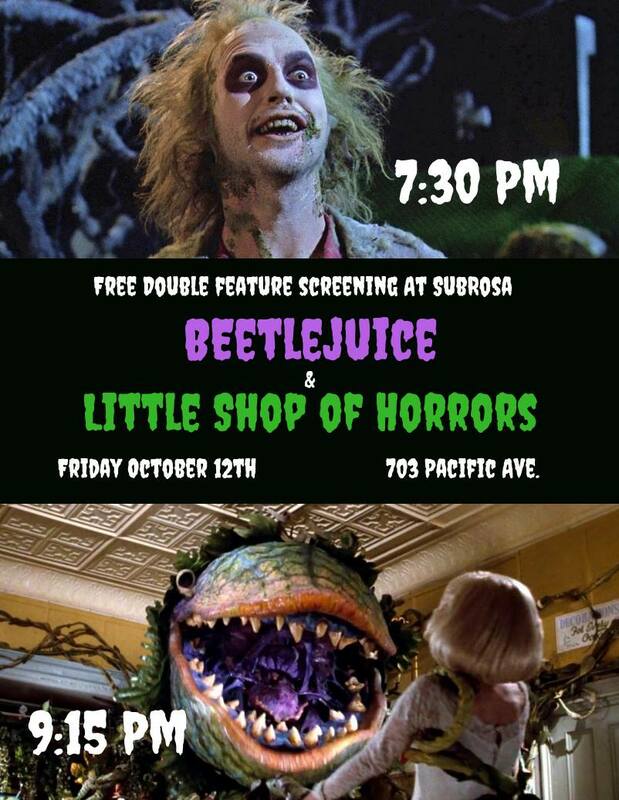 SubRosa - a community space: Fri: Double Feature Film // Sat: A Show // Mon: Another Show // & so Much More!!! 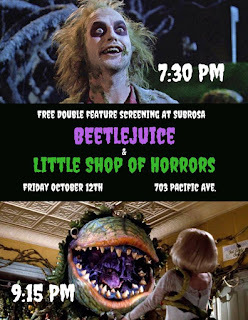 Fri: Double Feature Film // Sat: A Show // Mon: Another Show // & so Much More!!! We know housing justice is necessarily feminist and at the same time movements need to learn more from the learning of feminist struggles. How can we engage a broader public in Santa Cruz in these conversations? How can mobilize with these intersections, and others, in mind? Feminist movements and theory encourage us to ask who benefits, who is at risk, and how does power operate in our homes, our work, our lives. We need feminist interventions to help us critique our internal movement tendencies and practices, including housing justice movements. Women and gender non-conforming people have been at the center of many of the housing struggles in the US and internationally. A magical place of expresseion and witness, for performance of all kinds by all kinds of people. An open stage for mini-performances of 5-10 minutes. A place for poetry, drag, music and performance art. For queer theory, comedy and personal stories. Sign ups at 7:30. // Show at 8! -Friday, Oct. 19th, 7pm: Cactus Bloom Collective presents: All Locals Show at SubRosa! -Saturday, Oct. 20th: 2 happenings! QTPOC Dance Party! Tricks and Treats. A safer space for queer people of color. And other happenings around town! 1. Happy apple season. On Sunday, October 21st, we'll be picking apples from a few spots in Corralitos, after which people are invited to join Steve at his house to press cider with the famous pedal-powered apple crusher and cider press. We'll be meeting up to pick in Corralitos at 9:30am, harvest should be done within a couple hours, and cider pressing could go late into the afternoon. If interested, please RSVP to fruittreesc@gmail.com, or 435-6719. If you have a truck or large vehicle and can give a ride to an event organizer and equipment from Santa Cruz, that would be great. 2. Some residents have contacted us with fruit we're unable to organize regular events for, but you are invited to contact them about harvesting on your own. Steve in Scotts Valley has some green apples he says are best used for baking. 335-5855. Chris in Watsonville has a few golden delicious trees. You can contact her at 345-7412. Amazingly, people have also started contacting us about persimmons, which usually aren't ready until November. We don't have confirmation to share specifics just yet, but stay tuned for details. 3. Did you know that apples were a major crop in Santa Cruz County in times past? Some of the places we pick are remnants of the old commercial orchards that later got divided into rural residential parcels. It's striking to see trees sometimes that have not been tended much for decades, not irrigated, not sprayed, and yet they still put out fruit. It's quite a contrast from the strawberry fields which require substantial irrigation and often use pesticides dangerous to farm workers and nearby residents and school children. Another interesting piece of Santa Cruz County apple history is that Martinelli's Cider started out selling hard cider. It was for hard cider that apples were spread originally in the US, and only during Prohibition, Martinelli's developed a sparkling apple juice as a way of staying in business.